A new sumo champion has been crowned in Ang Mo Kio Ave 4. 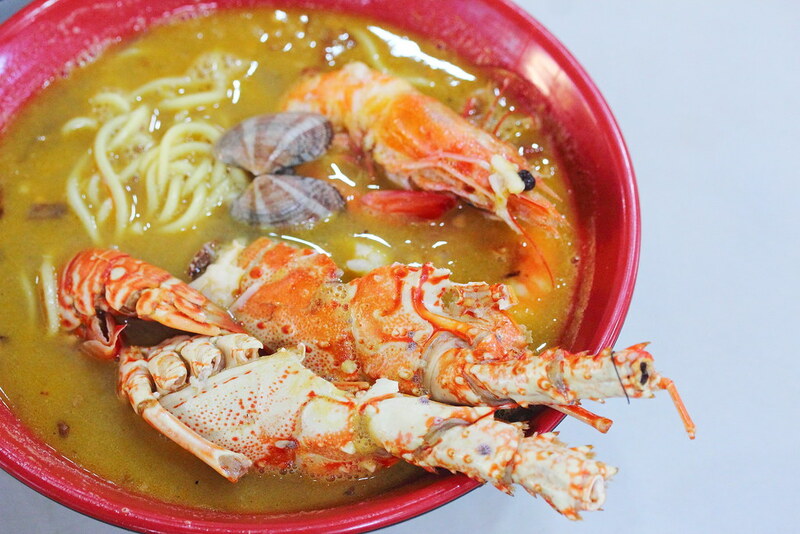 Within a month, SUMO Big Prawn Noodle has wrestled its way into the food scene with food lovers travelling all the way from different corners of Singapore, queuing up to an hour to savour the champion's prawn noodle. When I reached the stall on a Sunday afternoon, there was already a snaking queue. It took me slightly more than an hour to be able to get my food. There was 5 young men manning the stall, each has their own role and responsibility. 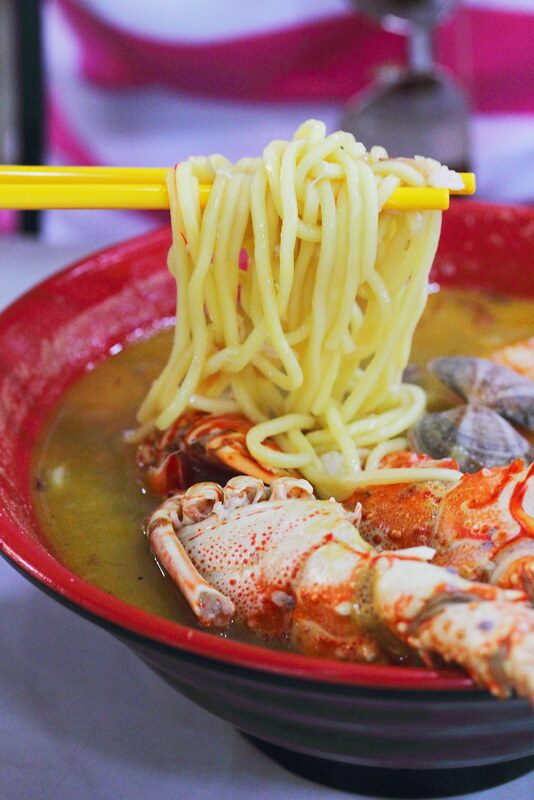 One is in charge of the cashier and taking order, one is responsible of preparing the order and cooking the noodle, while another one is in charge of cooking the broth together with the crustaceans. The rest of the team is busy preparing the other ingredients for the food. 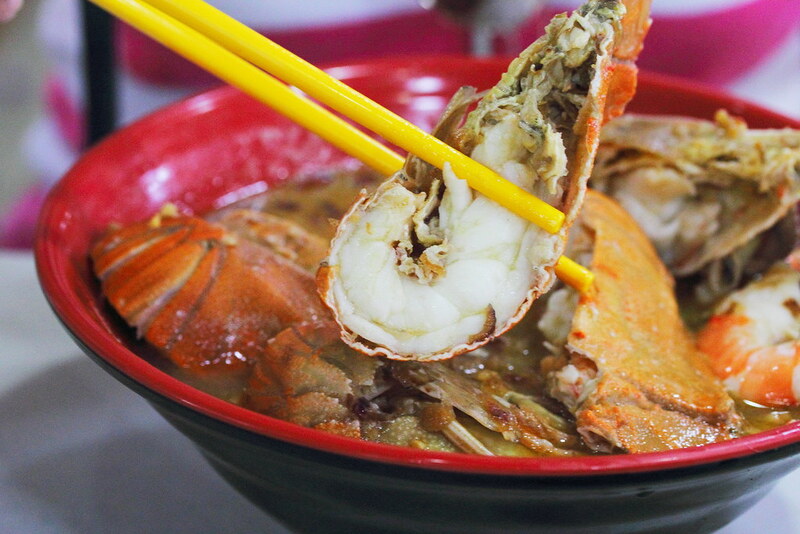 With a sip of soup of the Lobster & Big Prawn Soup ($24.90), I was overwhelmed by the richness and robustness of the broth. It was complex, sweet and carried the aroma of Chinese wine. It is packed with rich flavours that complement the yellow perfectly. The price may be a bit steep but it comes with a whole lobster with sweet bouncy flesh, 2 big prawns and la la clams. Having queued for slightly more than an hour, I have to make my wait worthwhile. 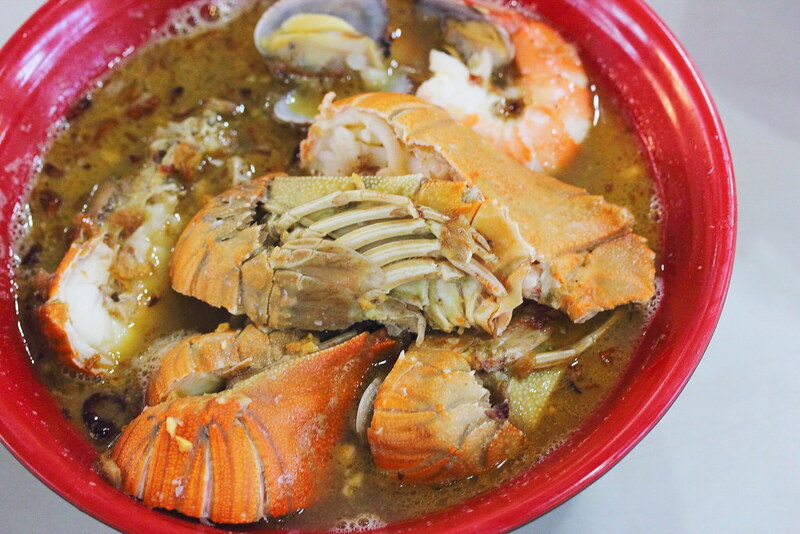 Hence I also ordered the Crayfish Noodle Soup ($13). The bowl of noodle soup is brimming with ingredients. There were 3 crayfish sliced into halves, 2 big prawns and la la clams. While the body of the broth is still the same, I thought there was a slight different. The soup was not as sweet as the lobster's one but it still had the same richness and robustness. I am not sure whether there was a bit of inconsistency here but the used of Chinese wine was a bit heavy in this bowl. 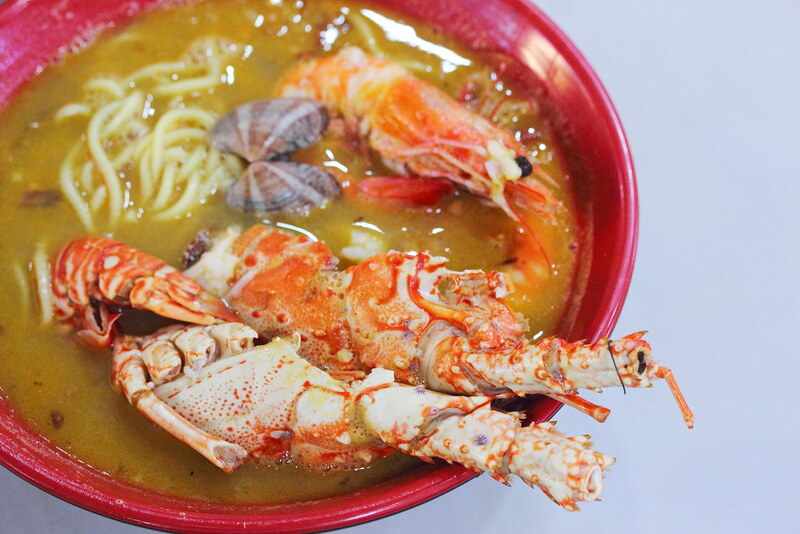 Besides the 2 dishes that I have ordered, Sumo Big Prawn also offers Prawn Noodle Soup ($5), Big Prawn Noodle Soup ($8) and Lobster Noodle Soup ($18.90) on their men. 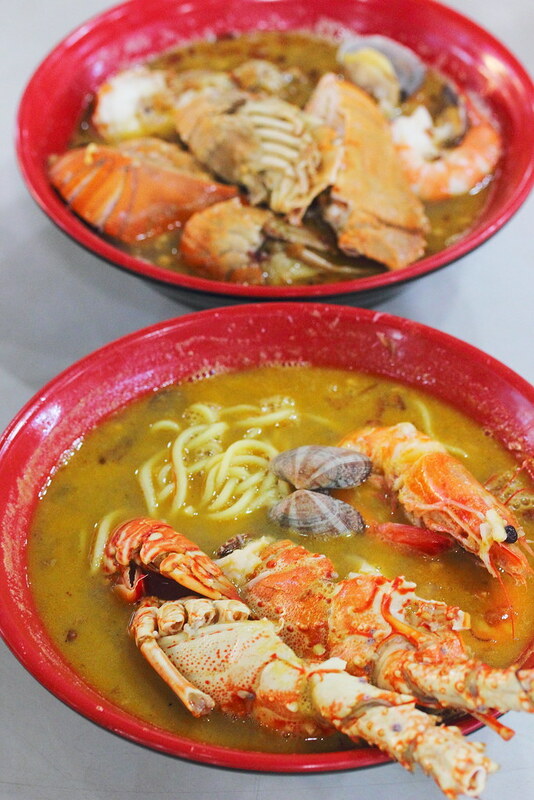 Guest will have a choice of yellow noodle or beehoon. 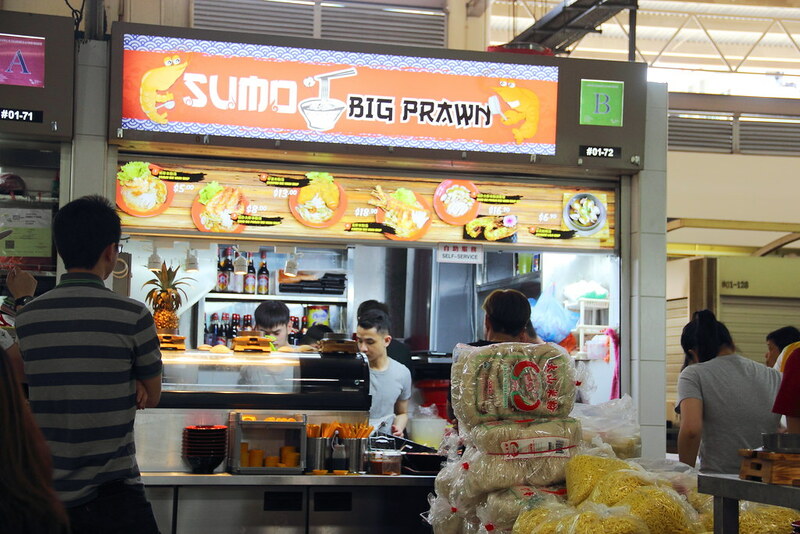 I would highly recommend you to give Sumo Big Prawn noodle a try if you have not done so. It is worth the queue and calories. For me, there is even a more fulfilling mission to spread the words in support of these young gentlemen willing to labour in the heat and confined space. There is hope for our hawker culture. Ganbatte! lol no need jio u, you can go anytime lor.